bone and tooth instead of just tooth. 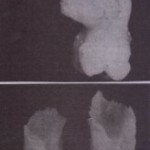 more controlled ‘amount of bone, which results in more rapid healing and a more ideal ridge form for prosthetic reconstruction. 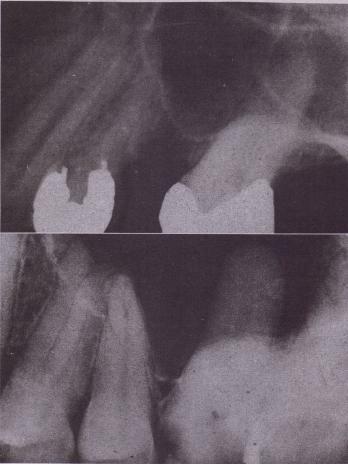 When the maxillary molar lies close to the maxillary sinus, surgical exposure of the tooth, with sectioning of the tooth roots into two or three portions, will prevent the removal of a portion of the maxillary smus floor. This prevents the formation of a. chronic oroantral fistula, which requires secondary procedures to close. 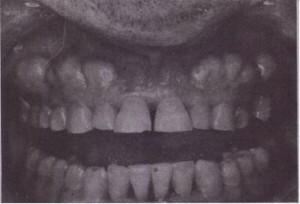 In summary, prevention of fractures of large portions of the cortical plate depends on preoperative radio graphic and clinical assessment, avoidance of the use of excessive amourits of uncontrolled force, and the early decision to perform an open extraction with removal of controlled amounts of bone and sectioning of multirooted teeth. 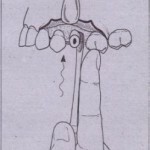 During a forceps extraction, if the appropriate amount of tooth mobilization does not occur early, then the wise and prudent dentist will alter the treatment plan to the surgical technique instead of pursuing the closed method. Management of fractures of the alveolar bone takes several different routes, depending on the type and severity of the fracture: If the bone has been completely removed from the tooth socket along with the tooth, it should not be replaced, The surgeon should simply make sure that the soft tissue has been replaced and reposit ionod over there maining bone to prevent delayed healir must also smooth any sharp edges that have caused by the fracture. 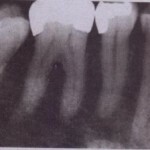 If such sharp e the surgeon should reflect a small amount )’ and use a bone file to-round off the sharp teeth. will heal if it can be separated from the tooth’ andleft attached to the overlying soft tissue. The surgeon must carefully dissect the bone with its attached associated soft tissue away from the tooth. For this procedure the tooth must be stabilized with the forceps, and a small sharp instrument, such as a Woodson periosteal elevator, should be used to elevate the buccal bone from the tooth root. 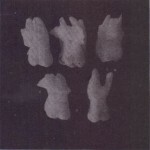 It is important to realize that if the soft tissue flap is reflected from the bone, the blood supply to the overlying bone will be severed and the bone will then undergo necrosis. Once the bone and’ soft tissue have been elevated from the tooth, the tooth is removed and the bone and soft tissue flap are reapproximated and secured with ·sutures. When treated in this fashion, it is highly probable that the bone will heal in a more favorable ridge form for prosthetic reconstruction than if the bone. 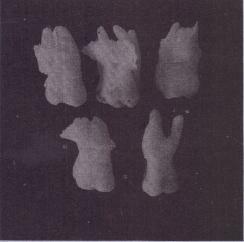 had been removed along with the tooth. 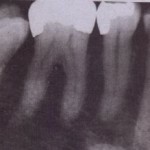 Therefore it is worth the special effort to dissect the bone from the tooth. options. The first option is to splint the tooth being extracted to adjacent teeth and defer the extraction for 6 to 8 weeks, during which time the bone will heal. 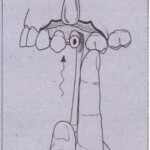 The tooth is then extracted with an open surgical technique. management is’ to maintain the fractured bone in place and to provide the best possible environment for healing.This may be a situation that can best-be handled by referral to an oral and maxillofacial surgeon.